The largest selection of JEOL cylinder type SEM stubs and mounts with sizes ranging from 9.5mm to 50mm diameter to fit all JEOL SEM makes and models. The JEOL stubs and mounts are made from vacuum grade aluminum. The JEOL SEM sample stubs are manufactured according to the original JEOL specifications with additional styles added. They all fit the standard JEOL cylinder sample stub holders. We recommend to use the taller stubs for flat samples and the short stubs for taller samples. 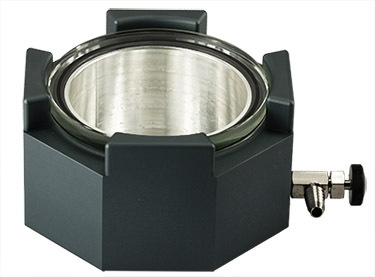 Dish cylinder JEOL stubs in 12.2mm diameter for sample preparation of solutions or fluids directly on the stub. The dish design prevent fluid fromdripping of the stub. Sample can be dried on the SEM stub. If you need a JEOL sample stub which is not offered in the list below, please contact us. We can manufacture custom sample stubs or suggest a solution with other sample stubs.